You’d be hard pressed to find someone who doesn’t think our state would be better off with the Hartford Whalers back in town. Ever since former Whalers owner Howard Baldwin returned to the local scene, there has been plenty of talk about restoring a major league sports team to Connecticut’s capital city. As the 15th anniversary of the Whalers’ departure approaches, we continue to examine the possibility of restoring the glory days. Can it be done, or is it a pipe dream? This week on Face the State, we are joined by one of the most knowledgeable guys in the world of hockey, John Buccigross of ESPN. 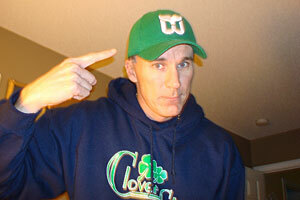 In addition to his duties at the television sports giant, he is also a coach for his son’s hockey team in suburban Hartford, has been spotted at Connecticut Whale games at the XL Center, and he wears Whalers gear. He’d love to see the NHL skate back into Hartford as much any of us, but he is realistic and very educated about the prospect. I think you’ll find John’s interview very informative. As you’ll see on Sunday, John believes the market here can most certainly support an NHL team, but there won’t be any team without a new arena. Not a retrofitted, renovated XL Center, but a new arena. No new arena, no Whalers return, end of story. “The NHL likes shiny new toys,” John told me during the taping. We also need a potential team owner with deep pockets. During the interview John laid out what needs to be done to get a team back in Connecticut, and he also disputed the notion that fans must support a minor league team to get back a major league team. “It’s tough when you’ve already had an NHL team,” and he agreed with another assessment that such an argument is a flawed premise. 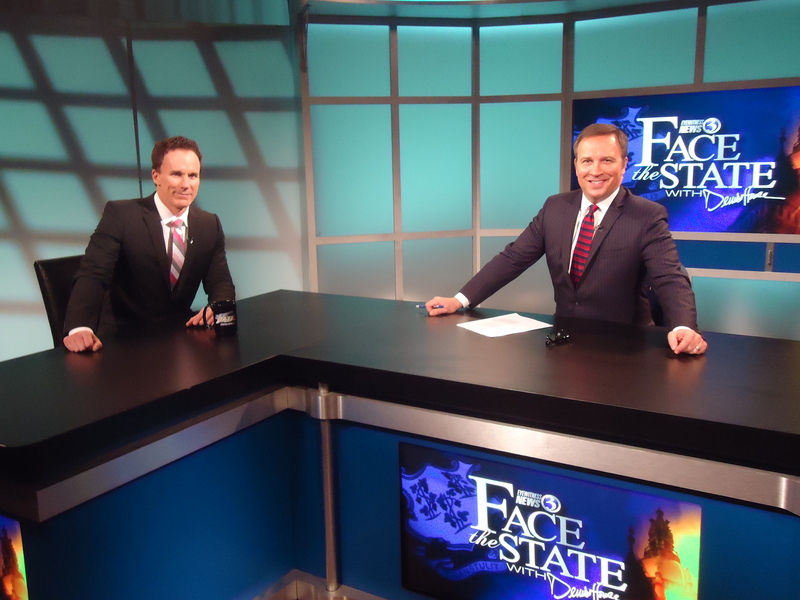 Tune in this Sunday morning at 11, for the complete chat with ESPN’s John Buccigross, on Face the State, only on Channel 3. While I consider a very significant renovation of the XL Center a good strategy with a strong opportunity of being an attractive ‘new toy’ for the NHL, Buccigross makes an excellent point of how total reconstruction might make the real cut for Bettman. You just found one person who thinks bringing back the Whalers would be a massive waste of time. The team was literally ripped out of the cities hands. They were supported. So I don’t buy your notion of a lack of support. People will clearly support a solid team… and as the numbers show, they will even support a mediocre one. I do think we should be smart about how we handle any new team, arena, etc. But the XL Center is horribly past it’s prime. If you go to any arena built in the last 10-15 years, that becomes painfully clear. Just think of the concourse areas at the XL – narrow, crowded and insanely long lines for everything. It’s not terribly appealing. I’m stunned that ESPN actually has someone on staff that can talk about hockey. I thought the only people in the world of Skip Clueless and Stephen A. Stiff were Tim Tebow and Jeremy Lin!!! I dont do sports what so ever, but ms. klonk (dj) and wccc, the rock 106.9 has supported, promoted, way before the season started, in hopes that this could and would happen, being a avid listener i hope it does too for the sport fans…. I think what Buccigross assessment was correct though the one thing I disagree with is having to find a guy with rich pockets to be the owner of the team. Take Green Bay Packers for instance. They are a fan own team and the community owns the team and funds the team. Look and how well that franchise has done and how much it has helped that community. Now maybe having a person with deep pockets to build the stadium i would agree will help though I think it will help most if we have the community support the team from going to games as well as funding the team. Plus if you ever been to New York or Boston the problem with those areas (granted big red sox fan) is the prices for tickets cost an arm and a leg. What better to have a team in the middle of those major power houses. It will allow people to come to Hartford so they can see their favorite team and who know become fans of the Hartford Whalers.